A little off-topic, but this was too good to not share. We are car nuts at our house, my husband has an older BMW 318i, and I have a 2003 MINI Cooper (named GRNSTRK, green streak) and he emailed me the link to this YouTube video. He said he was sitting in the waiting room at the doctor’s office and laughed out loud when seeing it. I don’t know how this guy didn’t get sick. One of the great things about living in a Built Green Certified Community is the seasonal decorating that comes with certain holidays. 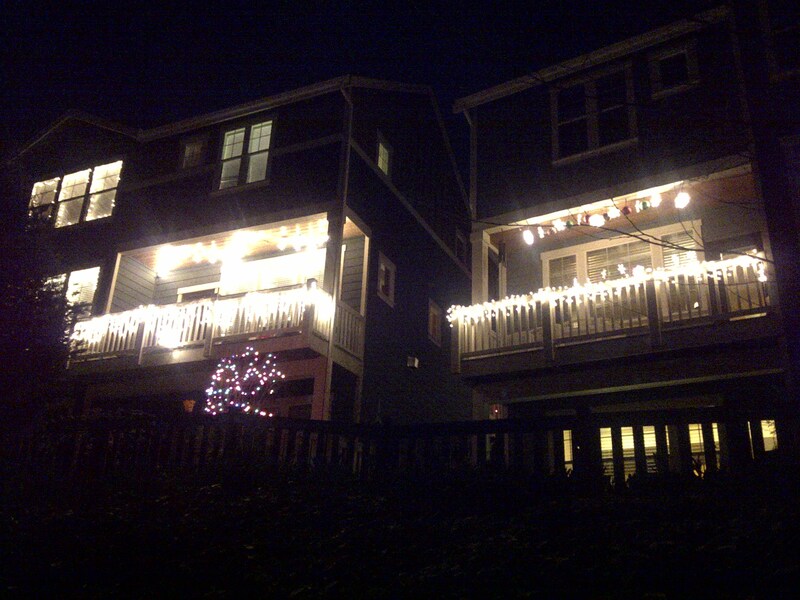 Halloween is a real hoot, but Christmas is very beautiful. 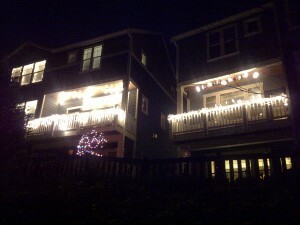 The “front porch” community built in 2006/07 (and some 2011) really gets into the holiday spirit every year. 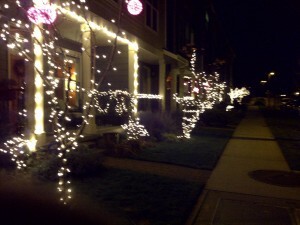 Every porch has en electrical outlet so it makes it easy to have fountains or lights outside. You can view the entire public album on Facebook, and it will continue to be updated as more people decorate – all the way up to Christmas! Have a wonderful holiday season.